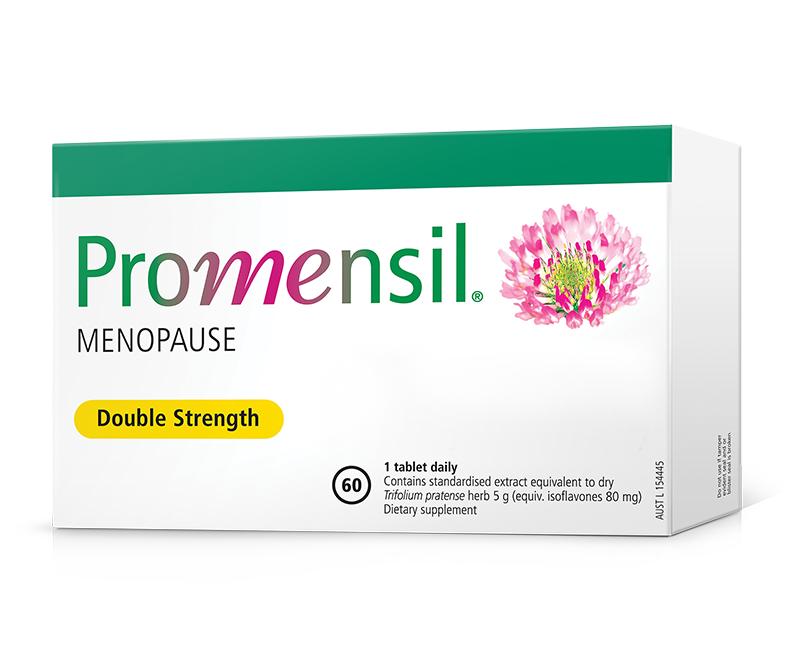 Promensil Menopause Double Strength helps relieve the menopausal symptoms, hot flushes, night sweats and mild anxiety. What are Promensil Double Strength Tabs for? Helps relieve the symptoms of menopause: night sweats, hot flushes, mild anxiety and dry skin. Who are Promensil Double Strength Tabs for? Women experiencing the onset of menopause symptoms. Promensil is a supplement based on red clover isoflavones specifically standardized to help maintain general wellbeing for women during and after the menopause. When should I take Promensil Double Strength Tabs? At the onset of menopause and during menopause. Why should I take Promensil Double Strength Tabs? To help relieve the symptoms of menopause including night sweats, hot flushes, mild anxiety and dry skin. Promensil’s unique ingredient contains a source of isoflavones that are important to support general health and wellbeing.